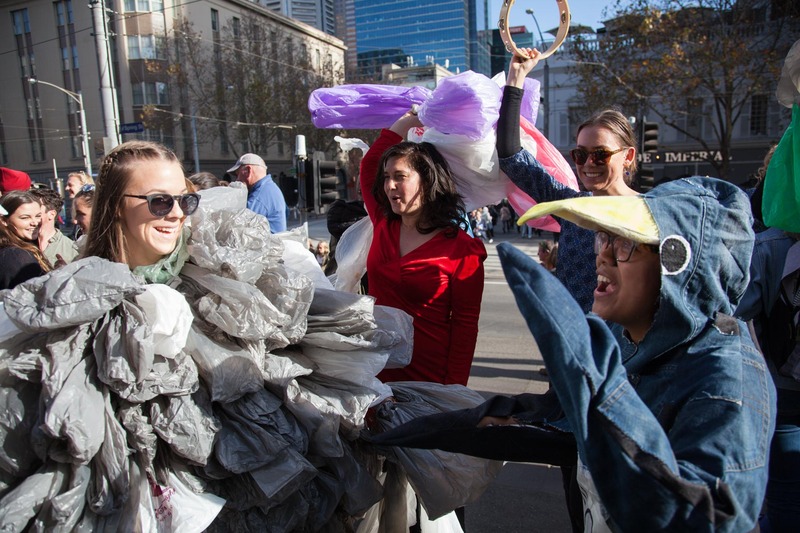 Melbourne, 8 June: Hundreds of people gathered on the steps of the Victorian Parliament House to celebrate it and ask for action on marine plastic pollution. Two majestic whale puppets, a sperm whale, and a humpback whale will swim amongst and breached high above the heads of the crowd, who held up a mass of single-use plastic bags. 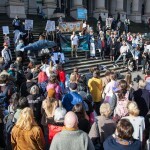 The rally demanded a ban on plastic bags in Victoria. Plastic Bag Free Victoria collected 10,000 signatories prior to the bill being tabled and are now waiting on the government’s decision. “Children and adults in communities throughout Victoria that I have spoken to in the thousands, are absolutely mystified as to why the government hasn’t acted to ban single-use plastic bags,” says Anthony Hill, Plastic Pollution Solutions. 5. Better enforce existing laws to prevent nurdle spills from industrial sites.